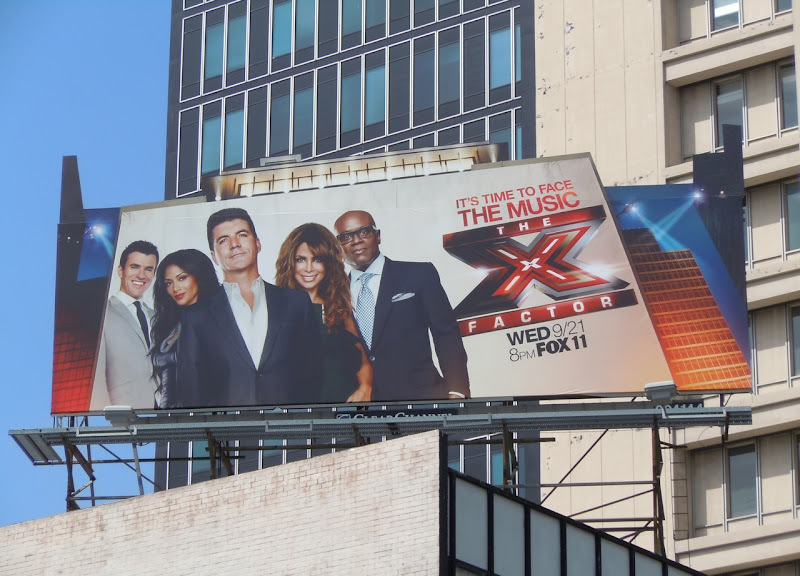 It's certainly time to face the music and find out whether lightning can strike twice for Simon Cowell, as he brings The X Factor to America to see if he can repeat its British success. On reality talent shows these days it's often more about the judges than the contestants and he's made sure to bring the crazy with him, as Paula Abdul joins him as a veteran judge. Pussycat Doll Nicole Scherzinger, herself a Dancing with the Stars champ, and music mogul L.A. Reid round out the judging panel, whilst British TV presenter Steve Jones hosts the new show. 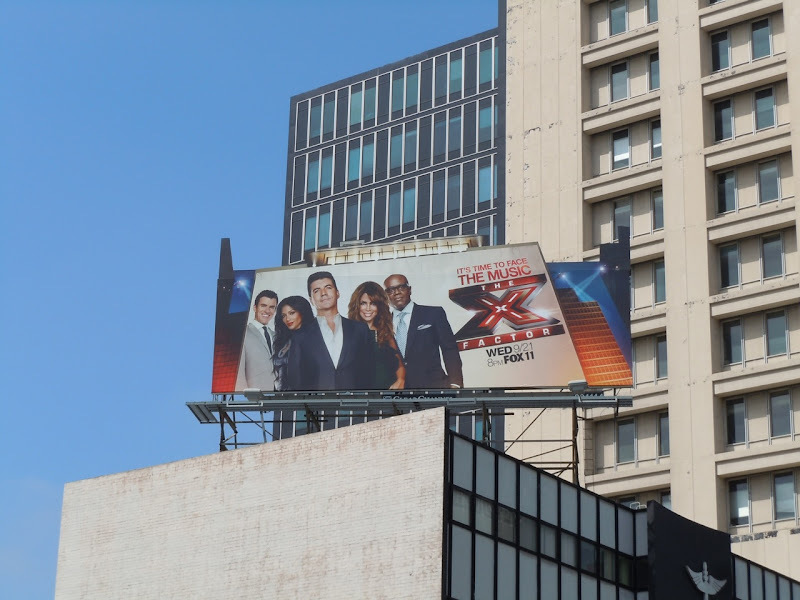 This billboard for The X Factor loomed large over Wilshire Boulevard on August 31, 2011. 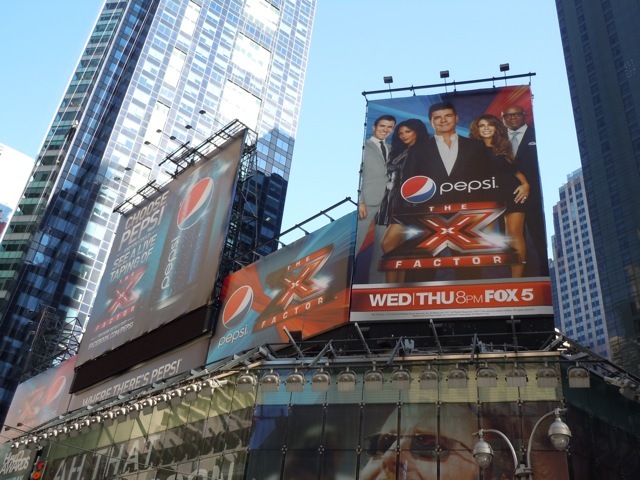 UPDATED: Here's another creative for The X Factor, in conjunction with the show's promotional partner Pepsi, spied above Times Square in New York in November 2011.